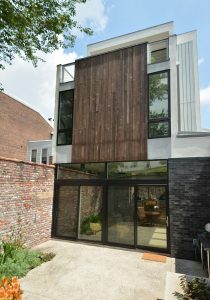 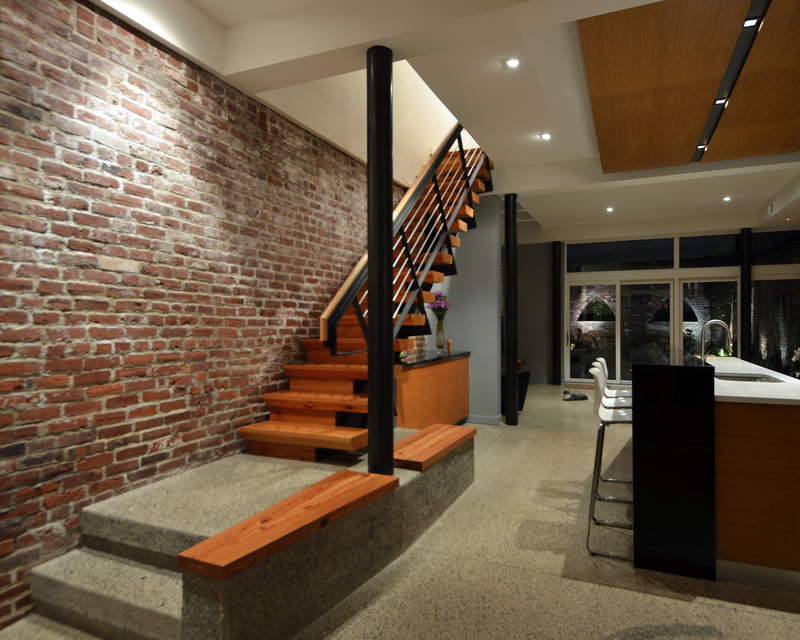 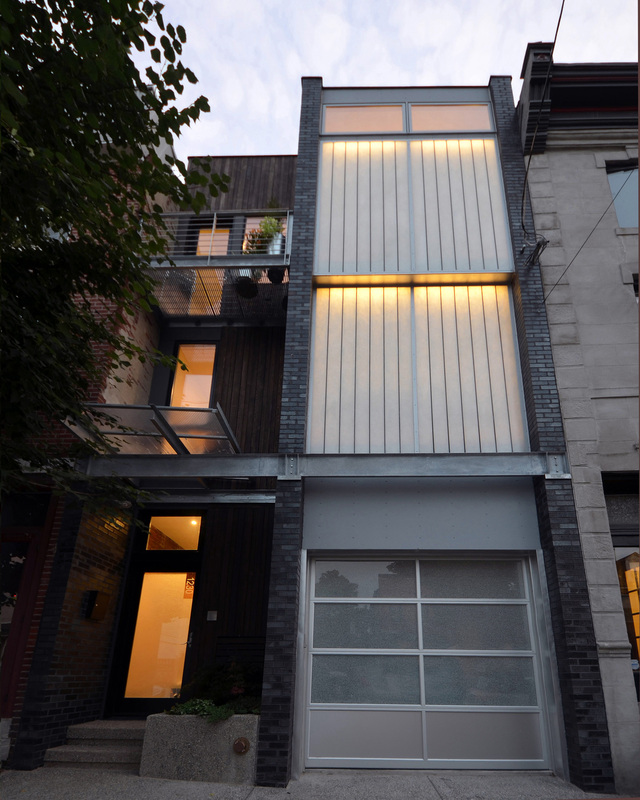 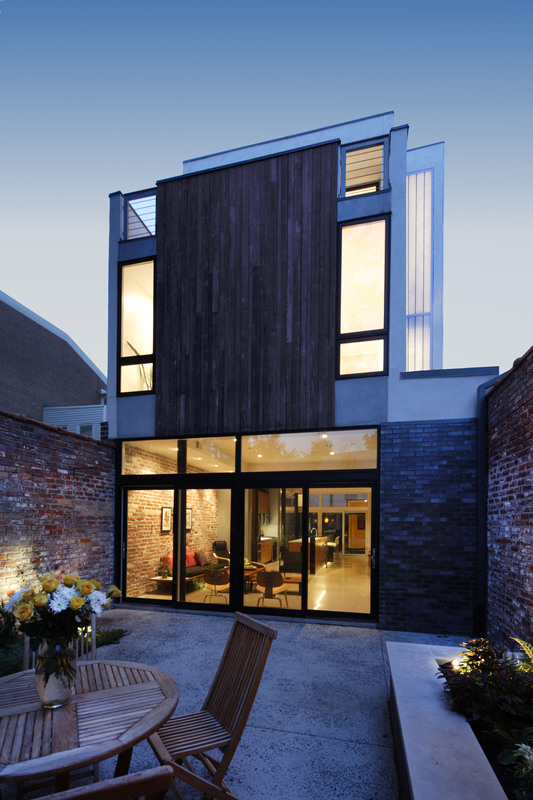 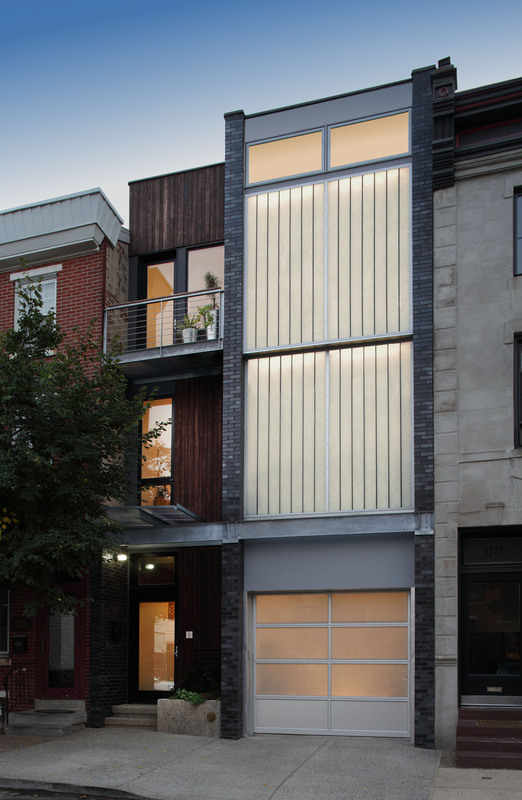 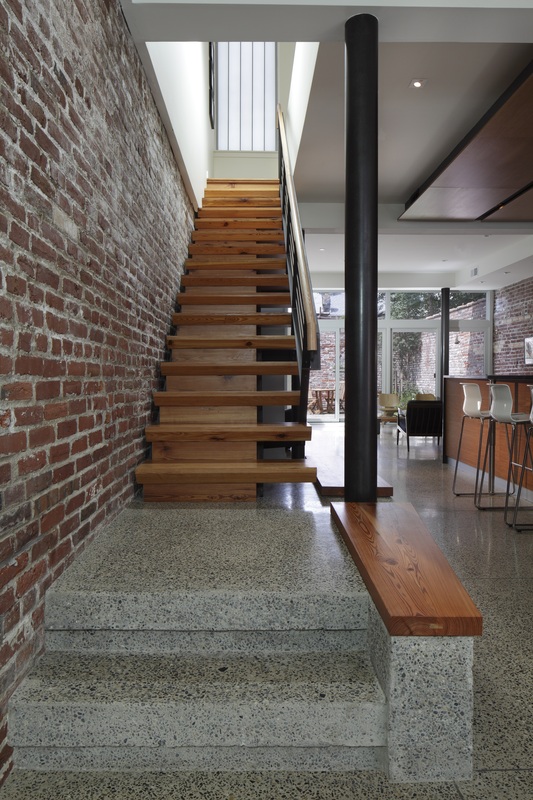 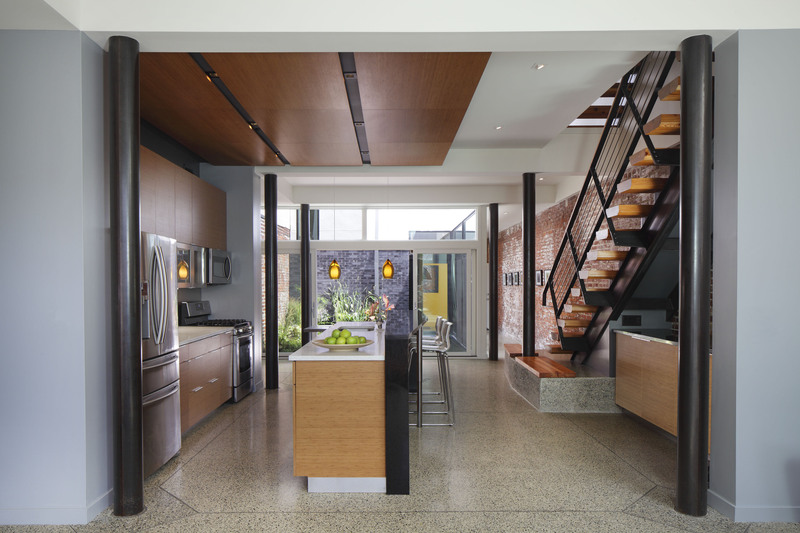 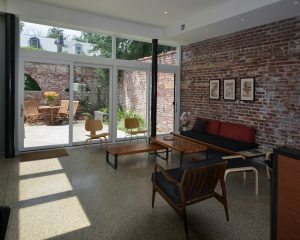 Lantern house is a modestly priced adaptive reuse of a single story brick stable in Fishtown section of Philadelphia. 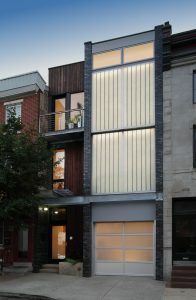 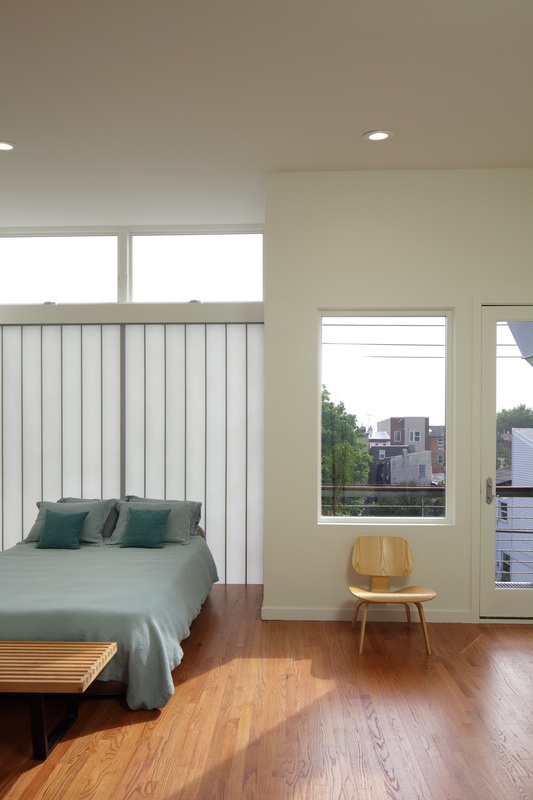 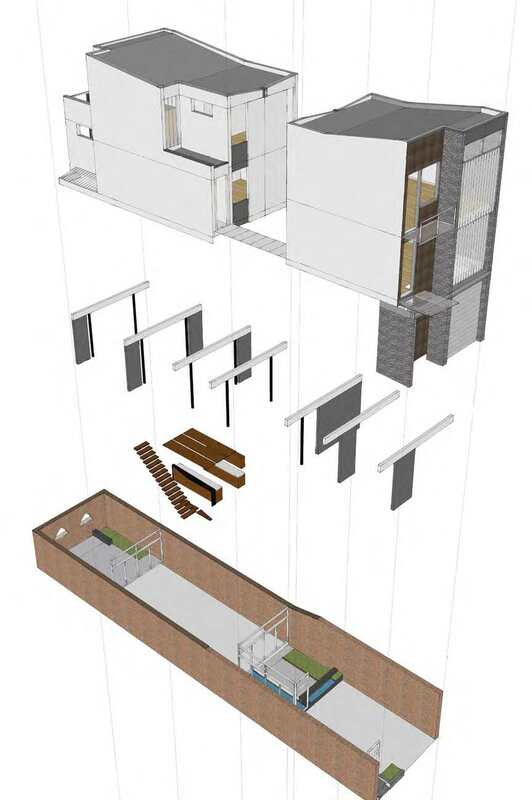 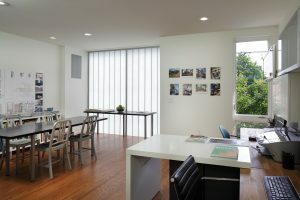 The project’s program includes a single family residence, home office/studio, in-law apartment and two garden spaces. 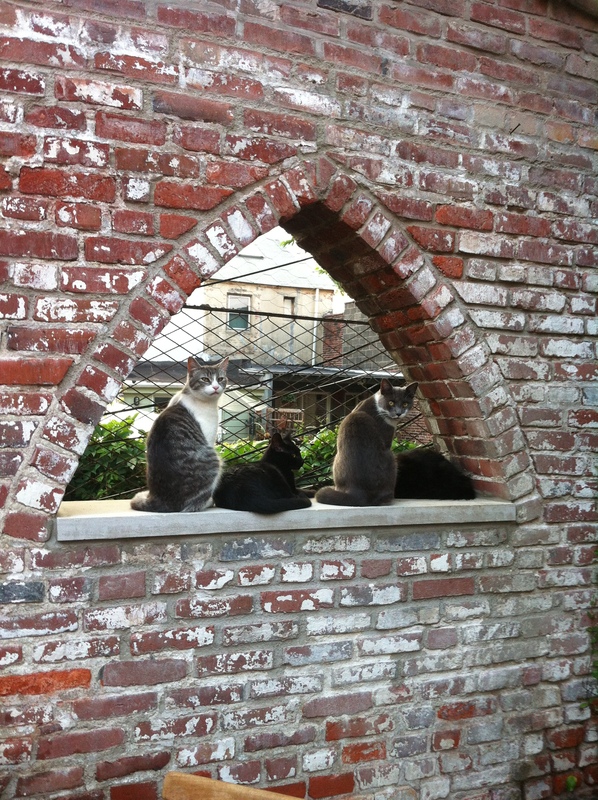 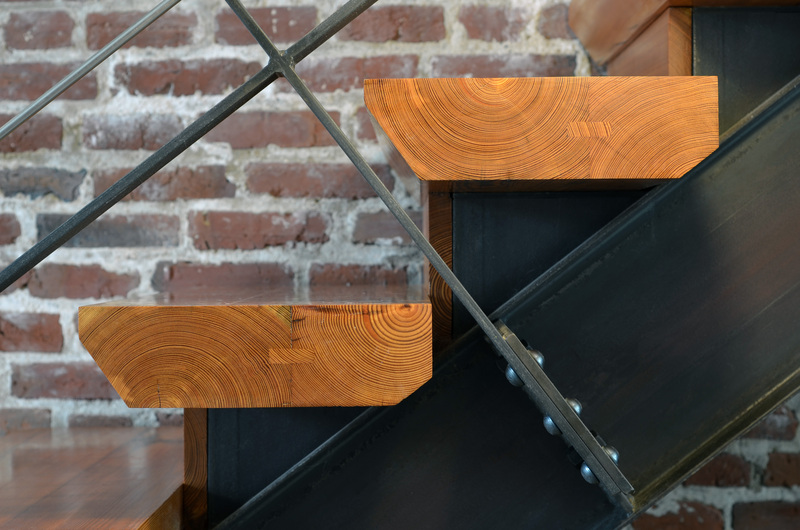 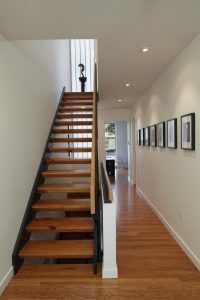 In constructing the new house, the existing wood beams that made up the original roof of the stable were reclaimed for use in wall cladding, interior woodwork and stairs, and select furniture pieces/ The existing brick walls were stabalized, repointed, and repurposed as both interior walls of the house, as well as garden walls at the exterior. The brick at the ground plane is deliberately minimal, allowing the historic texture to remain, while the upper masses are conceived as simply constructed, modestly appointed volumes. 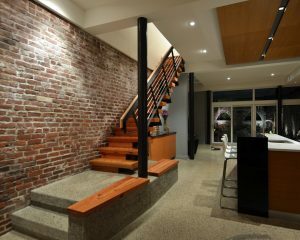 The original structure was built to the property lines. 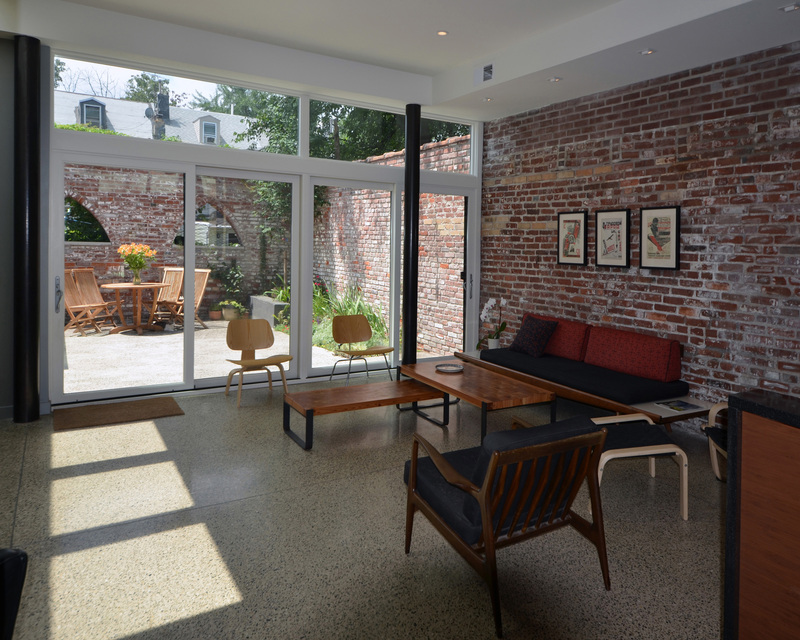 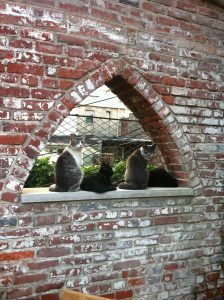 As a result, the outdoor spaces were delineated within the perimeter of the existing brick walls in the form of the sun garden at the southwest side, and the shade garden; forming a central courtyard. 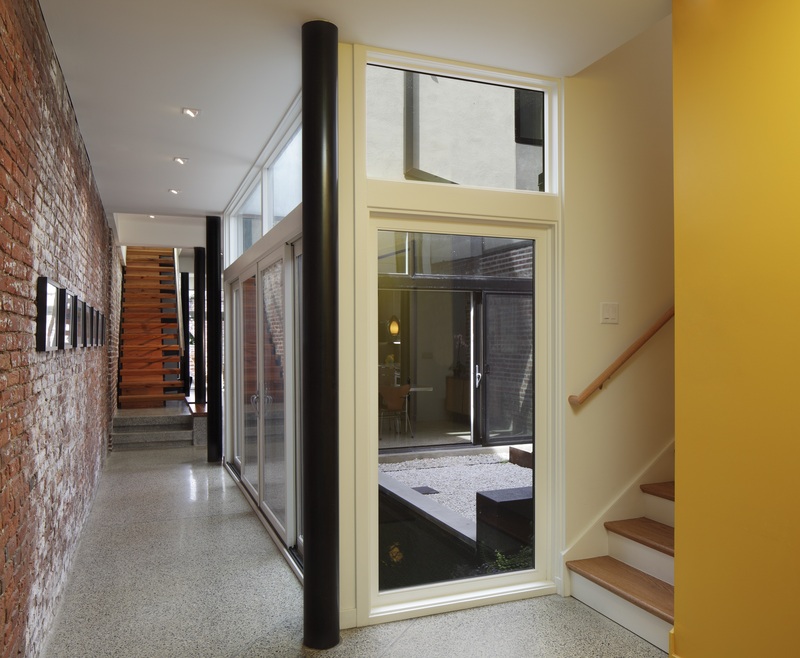 The gardens are a critical part of the daylighting strategy, as well as the strategy to provide passive ventilation to the structure. 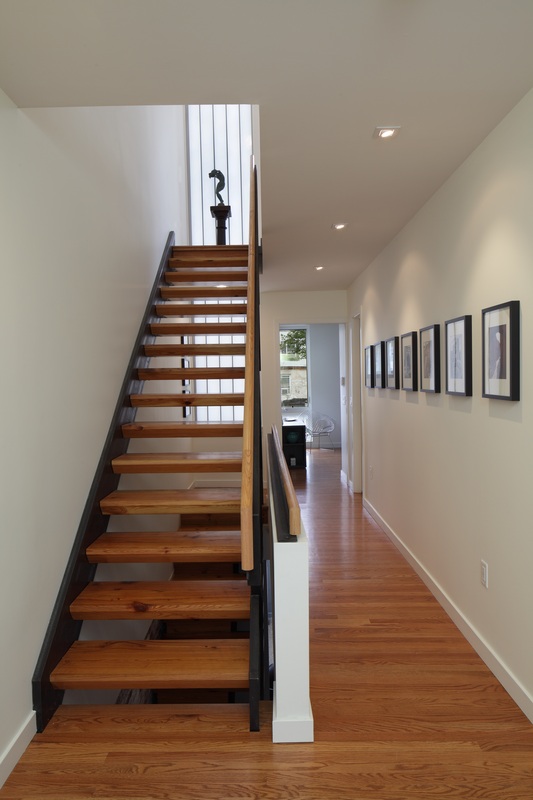 By opening sliding doors at the first floor, cool air is drawn in, and the chimney effect draws warm air up and out the third floor clerestory windows and doors.